Our Shabbat services reflect the unique holiness of Shabbat. Our community comes together to celebrate Shabbat with a spirit of joy and peace. Kabbalat Shabbat services are held every Friday evening at 6:15 pm in our chapel, the Sager Beit HaMidrash. Beautiful views of Lake Michigan provide the perfect setting to usher in Shabbat with ruach (great spirit) and community. Several times during the year we sponsor a family-focused Friday night service such as “Jeans and Jammies,” with dinner and events for children. Several times during the year we also follow Shabbat services with a dinner, sometimes for special occasions and sometimes for the joy of sharing dinner together. On Friday nights when the weather is warmer, we often celebrate “Shabbat on the Lake” and hold services on our beautiful back lawn with stunning views of Lake Michigan. Our community gathers to enjoy Kabbalat “Shabbat on the Lake” which includes a pre-Shabbat program and services. These programs typically begin at 5:30 pm with socializing, wine, and appetizers. An amazing Kabbalat Shabbat service follows led by our clergy and includes a brief d’var Torah (word of Torah). During these special services, we offer an activity for families with younger children with an age-appropriate prayer experience following. Services begin at 8:50 am from the third Shabbat in August until the second Shabbat in June. During the summer months, services begin at 9:00 am. We take special pride in our summer services (mid-June thru mid-August) which are entirely lay-led, from the davening to the d’var Torah. This professionally-led family service is held every Shabbat morning beginning at 10:45 am for families and their children in 1st grade and younger. Join us for a morning of stories, prayers, activities, and fun! This staff-led service is held every Shabbat morning at 10:30 am for children in 2nd thru 6th grades. It is a wonderful opportunity for children to become knowledgeable about Shabbat and services, whether they are leading or participating in the service. Several times each year, members of our community gather at 9:15 am for a parallel, lay-led traditional service in our chapel, the Sager Beit Hamidrash. These services offer a unique opportunity to daven with and learn from members of our community in a smaller more intimate setting. 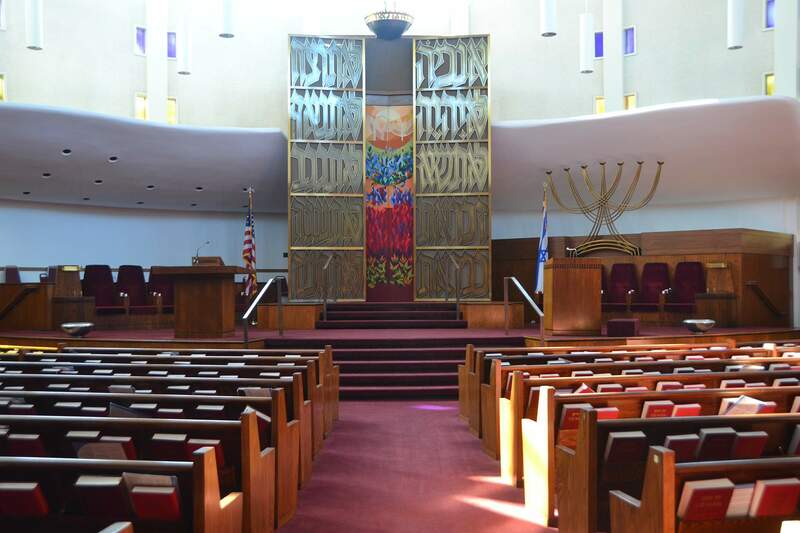 Lead a service… then give the Beit Midrash a try. We warmly welcome all congregants! Each Shabbat afternoon (times vary so please check our calendar), we gather for Mincha, Se’udah Shlishit (the traditional third meal of Shabbat), zemirot (traditional Shabbat singing), a brief study session and Havdalah – a most beautiful time at Beth El. We invite you to experience Shabbat at Beth El and make a connection with our warm community. Shabbat services provide moments for personal prayers whether for healing, following an illness or a dangerous journey, in memory of a loved one or in celebration of life’s special moments. Praying for those in need of healing (mi shebeirach) is a part of every service when the Torah is read. It is our custom to pause during this prayer to allow members to recite names privately. Our makri (leader of the Torah reading service) has a list of names, maintained by our Ritual Director, that is read aloud on Shabbat, Festival and High Holy Day morning services. It is read privately by the makri on weekday mornings and Shabbat afternoons. Should you wish to have a name added to the Synagogue list, contact our Ritual Director, Mark Stadler, at mstadler@nssbethel.org or (847) 432-8900 x223. When the Torah is read on weekday mornings and on Shabbat afternoons, individuals observing Yahrzeit have the opportunity to have memorial prayers for the deceased (E-l Malei Rachamim) recited by the makri. If you are observing Yahrzeit and wish to have an Aliyah (being called up to the Torah), try to arrive early to services and let one of our clergy know, and we will do our best to accommodate you. At Beth El we invite you to let us know if you are celebrating a birthday or wedding anniversary. If possible, we will honor you with an Aliyah to the Torah so you may be acknowledged by the Rabbis and recite Shehecheyanu, the traditional blessing of thanksgiving for reaching this special moment in your life.